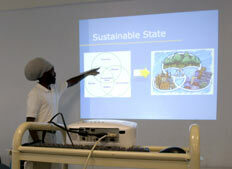 Greenrock remains committed to inspire and facilitate local communities to develop produce gardens. 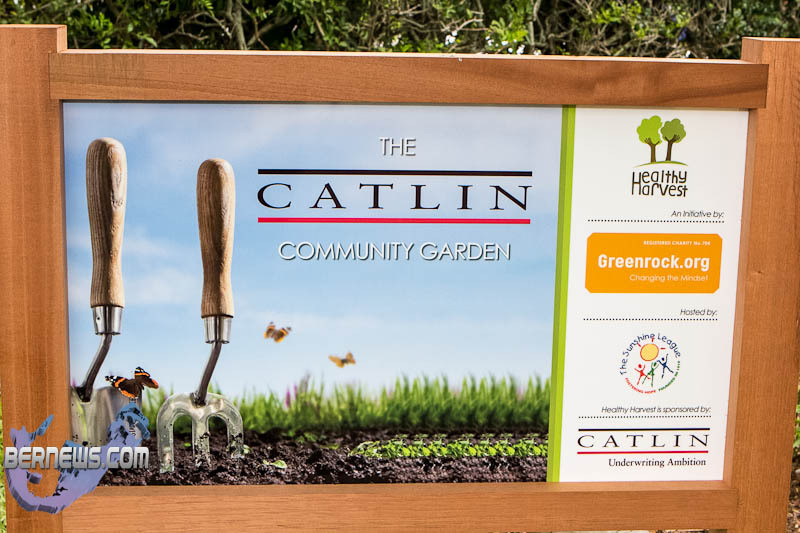 Greenrock's Healthy Harvest team, and volunteers from Catlin and the Sunshine League recently spent the day cleaning up and preparing the Catlin Sunshine League Community Garden. Last month, we reported on the Dept of Energy's competition Energy Limbo – How Low Can You Go? 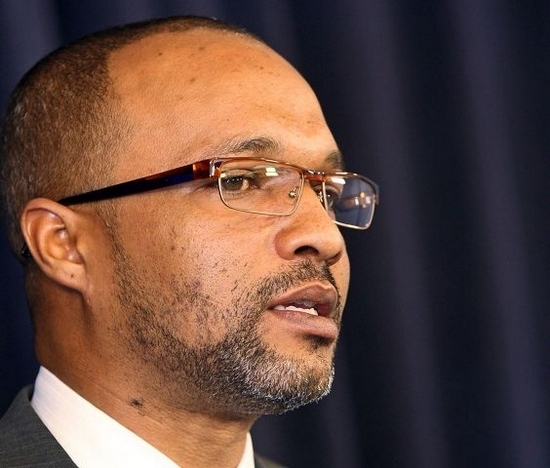 The winners were announced at last week's CARICOM Energy Week. 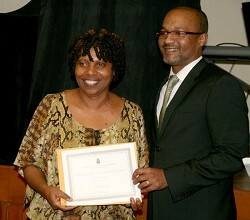 Edwin and Shirley Ann Smith were the overall winners of the Energy Limbo, reducing their energy consumption by 38 per cent over a 10-month period. Mrs Smith received her certificate from Marc Bean, Minister of Environment, Planning & Infrastructure Strategy. "We are not broke. There is money. It's ours and its time to invest it right." Can shopping save the world? 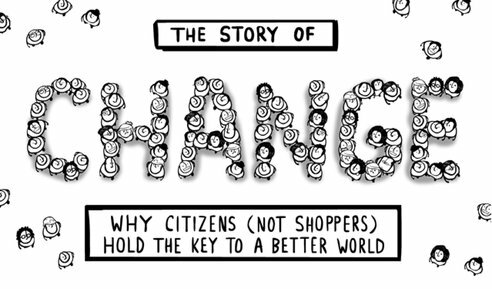 The Story of Change urges viewers to put down their credit cards and start exercising their citizen muscles to build a more sustainable, just and fulfilling world. 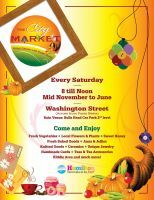 The City Market resumes next weekend, November 17th - so don't miss out on the opportunity to shop for locally grown and home made goods! 8am until noon - every Saturday morning. Mid November to June. Don't forget to bring your own bag! We are approaching election season with the imminent Presidential election ratcheting up the tension in the USA and a Bermuda national election due before the end of the year. The topics hitting headlines are who is telling lies about what, the financial situation, and at the moment, the impending (as I write) land-fall of Hurricane Sandy. The Department of Energy is inviting members of the public to join them as they recognize CARICOM Energy Week in Bermuda from November 11th to November 17th 2012. They are marking the week with a host of free events that are all open to the public. Last Tuesday, The Bermuda Environmental Sustainability Taskforce (BEST) formally launched their Blueprint for Environmental Sustainability - 2012. Greenrock applaud BEST on doing an excellent job in documenting THE PROBLEM together with their suggestions on where to look for solutions. Greenrock agrees that much of the focus needs to be on Changing the Mindset, one person at a time, and we would like to share some current examples of how Greenrock act as part of THE SOLUTION. The UK Government has announced the creation of a new environment and climate fund to help protect and preserve the environmental assets of UK Overseas Territories. The new fund brings together existing UK Government funding from the Department for International Development, the Foreign and Commonwealth Office and the Department for Environment. No more French Fries and Sloppy Joes for lunch at one Washington school where a new pilot program is feeding students fresh whole food from the garden, not a can. Students pick their own food from a garden. Anyone for FREE tee-shirts and Rugby Classic tickets? 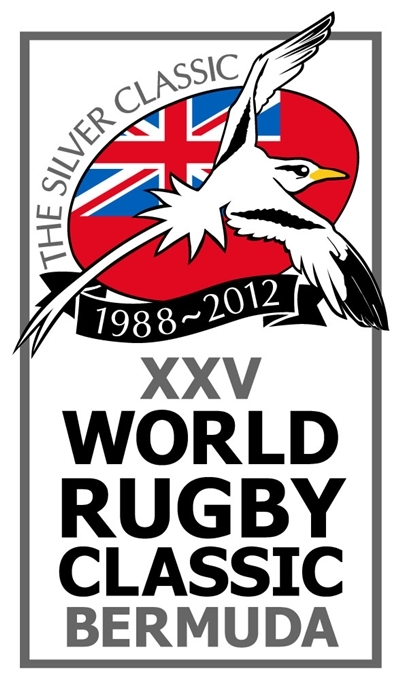 Greenrock is participating in a waste audit at the World Rugby Classic this weekend, to find out what percentage of the event's recyclables are being sent to Tyne’s Bay incinerator as opposed to being recycled. Volunteers will be meeting at National Stadium at 7:30am on Sunday, November 11th, where they will be given instructions and the necessary protective gear/ tools to safely sort trash. Greenrock will be bringing its multi-media interactive School Roadshow to 15 Bermuda middle and high schools over the next 2 months. 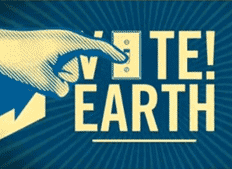 Now in its 7th year, this year's roadshow theme is Waste Reduction.